Norman Halladay, aged forty nine, had served in the Royal Navy during the Great war of 1914-18 and afterwards worked for B&S (Butterfield & Swire) since 1919 in Shanghai before transferring to their Hong Kong branch. 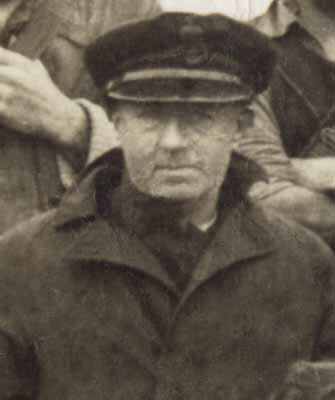 Along with Lt-Cmd Yorath R. N, (Rtrd), aged forty three, rowed the lifeboat from the HY Ferry moored in Aberdeen harbour, round the west side of Ap Lei Chau to instruct Cmdr Gandy R. N. (Rtrd) to "GO" and at the same time requested to join the escape party with the MTB's. Gandy did not see Halladay as an asset and reluctantly agreed, warning him that if he was not up to the task he would have to fend for himself. After 3000 miles traveling overland through China and Burma he arrived in a deserted Rangoon. After five weeks he left onboard the Armed Merchant Cruiser Heinrich Jessen bound for Calcutta along with Lt-Cmd Gandy, Lt Collingwood, Lt Ashby & Jix Prest, Buddy Hide, Charlie Evans, Al Rutter, John pawley, Jack Holt, Les Barker, Ron Priestley, and others. Norman along with fellow merchant navy officers Charlie Skinner and Duggy Pethick re-joined the merchant service on arrival in Calcutta.